A few years ago, I bought a cute color block shirt on clearance — something worn around the house on a lazy day. Unfortunately, I accidentally stained the white part of the shirt with pizza sauce (I honestly know better than to wear white when eating pizza or pasta). 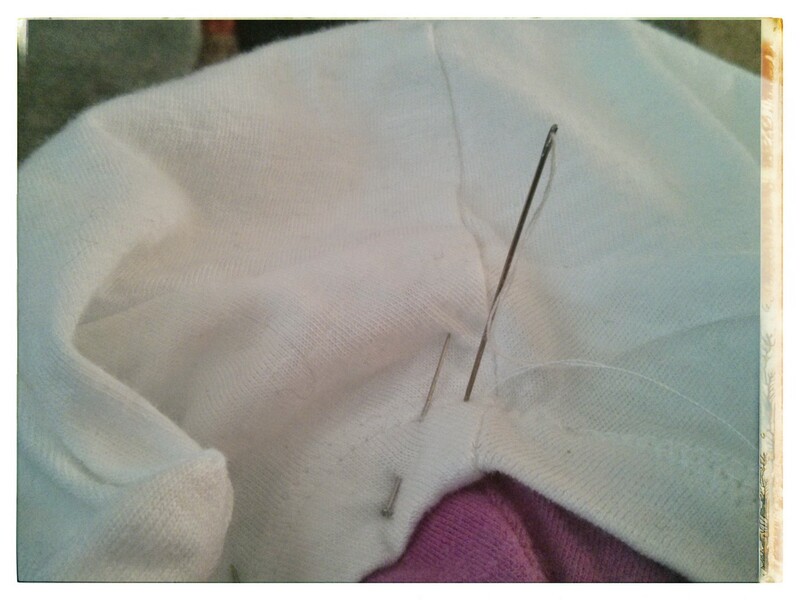 Instead of working my magic to get the stain out, I simply decided to refashion it with another white plain tee. During my annual after-Christmas clearance search, I found a bunch of white tees for about $2 and bought three when I could’ve snagged a dozen. Do I really need a dozen white tees? *sigh* No. 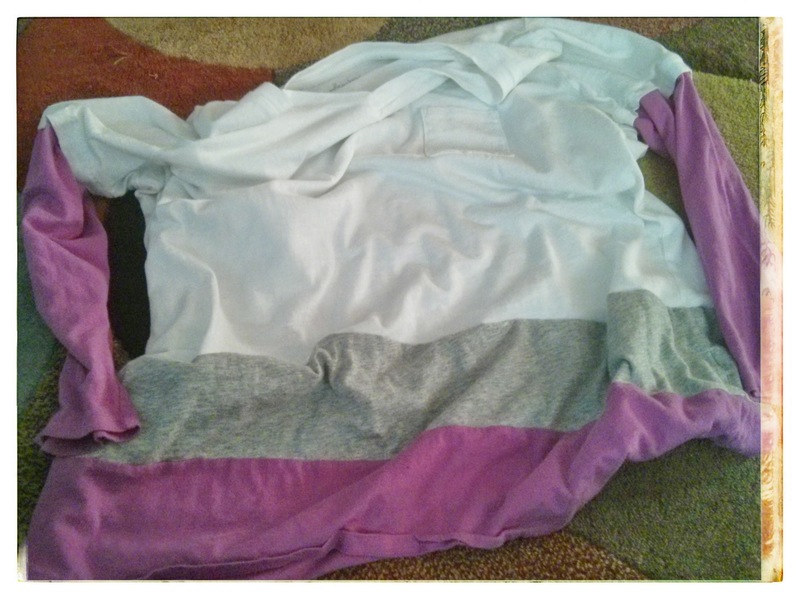 Anyway, I snipped off the pink sleeves and the color block portion of the shirt. I simply cut off about four or six inches from the white tee. 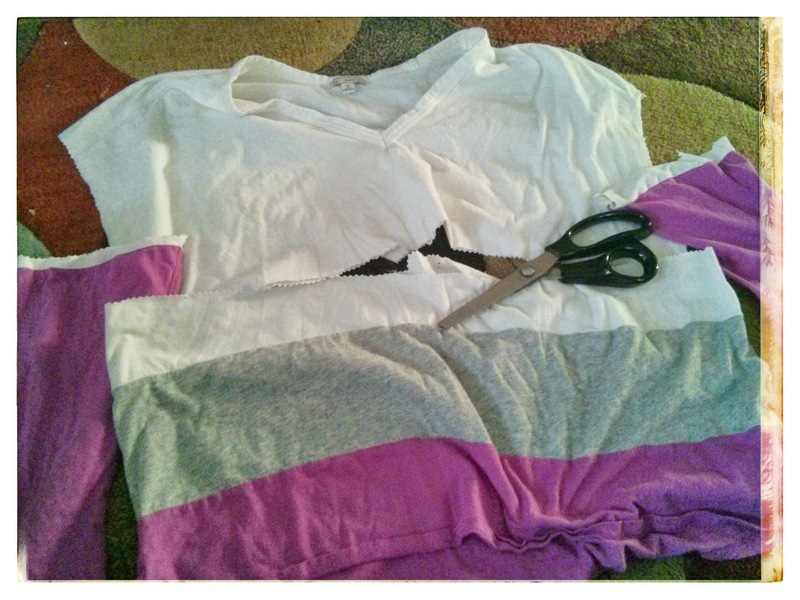 I altered the color block portion to match the width of the white tee before attaching it. I love the layered look of wearing a long-sleeve shirt and then a short-sleeve shirt over it. 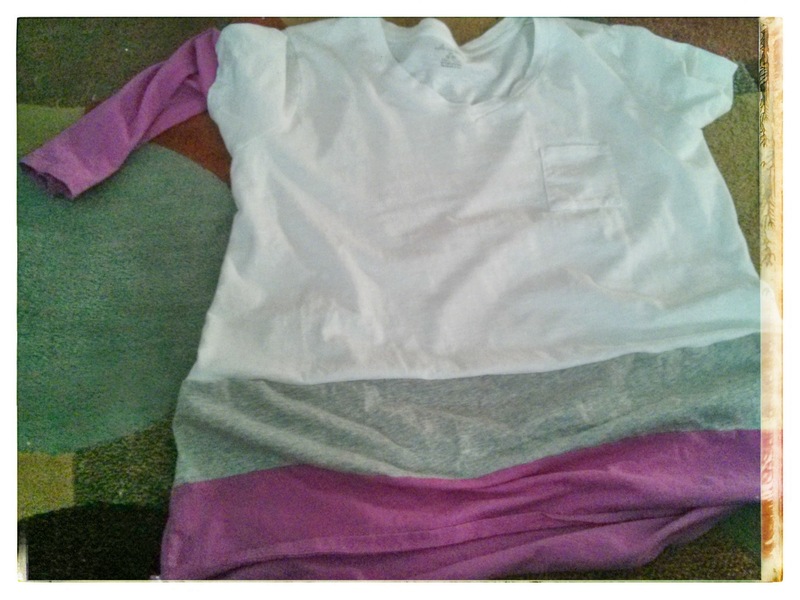 So, I carefully attached the pink sleeves under the hem of the white tee for that “2 shirt” look. I used a combination of the machine and hand sewing to add the sleeves. And I have to say that I’m pretty impressed with myself. I love the new shirt even if the white part is a little thin. For $2, I didn’t even bother to try on the T-shirts. I just found my size or one size bigger before throwing the shirts in my basket. 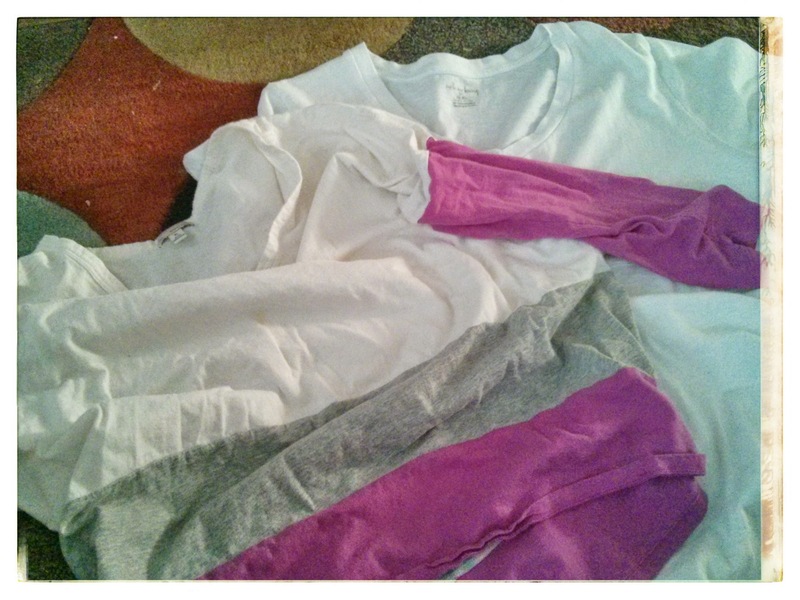 Maybe I should dye the other two shirts … hmmmmm. Anyway, I love how the refashion turned out. Yay! I love the soft colors used. Nice job. Your refashions are so pretty! I’m not the best at sewing but you make these refashions look easy. Cute refashion. What a great way to add some color to a plain shirt. I have a ton of plain shirts. Should try this. Have you watched the first episode of HOC? Two words. Little Stamper. Cute refashion, by the way.